GOAL: This Northern New Jersey Cachers (NNJC) club patch is in a race around the world! All TB's MUST be dropped off in a NJ geocache to start the race. Release it and let it race! No dipping allowed by the TB owner or their friends. Anyone can move your TB, but we don't want your friend to repeatedly move your TB into multi geocaches. You may ask a friend who may be traveling to move your TB across country or to another country, that's fine as this is a race. This TB race is to be fun and honest, everyone in the race will be watching the race progress, so simply let your TB move along by the travel bug process. The race will be judged by a committee and if there are any rule violations or any excessive movements by "friends" your TB may be disqualified. You should plan to drop off your TB in NJ by the week leading up to 4/1, but we will start the race on that date. Therefore, if your TB moved prior to 4/1 it will not be counted. 2015 was another amazing year for NNJC! 2015 was another exciting Geocaching year for the Northern New Jersey Cacher organization ( NNJC) We hosted many fun events, Just For Fun event (JFF), Kiss Me I'm Irish event, Suds event, a CITO, Spring Picnic, G.O.N.E (Geocachers of the Northeast) camping event and the 2nd Metro Gathering Mega event! ! We are meeting many new members through our new NNJC Meetup group and we continue to work on new and exciting projects. We are working on setting up our 2016 calendar and if you have any event you would like to see, please email your suggestion! Can you guess which well know geocacher dared the enter the Abyss? 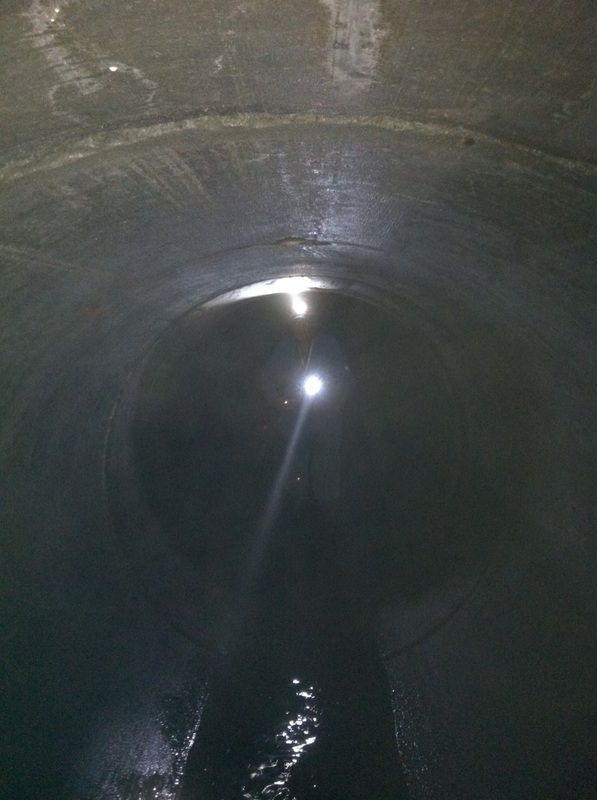 So, who entered the Abyss? Girl Scout Troop 40778 from Westfield sold chili and raised $918.00 to benefit Helen's House (a women's shelter in Elizabeth) The money will be used to refurnish a bedroom in the shelter. The girls will be overseeing and helping in the work as their Silver award. Boy Scout Troop 101 from Elizabeth collected, sorted, and packed donated groceries and toiletries for St. Joseph's Service Center in Elizabeth. St. Joe's runs a homeless shelter, soup kitchen, and food pantry. Sister Jocentia told me they were overwhelmed with gratitude, having to send the van back a second time to collect all the items donates. The generosity of the Mega cachers has gone a long way towards making this a better season for many locals in need. Thank you to all the Geocachers who supported these worthy causes!! 2014 was another amazing year for NNJC! As I reflect on 2014 it's been another amazing year for NNJC as we continue grow into a quality and important geocaching organization. Our efforts to promote Geocaching is recognized by many New Jersey land authorities from NJ State, County, Townships on down the many non-profit groups. In 2014 NNJC was called upon for presentations on Geocaching throughout New Jersey for many organizations including the NJ DEP of Parks and Forestry, Morris County, Sussex County chamber of commerce trails committee, The Sussex County State Fair, The National Park Service, many NJ townships, the NJ Highland Coalition at Waterloo, libraries, Scout groups, and others. We continued to host great events throughout 2014, a couple highlight's were The Great Swamp Watershed Scavenger and Spring Picnic, we launched the NJ Audubon Geotrail at Sherman Hoffman, held CITO's, Had a fun nighttime mothing event with Blaine at Kittitanny's G.O.N.E. event, another fun Halloween party at GSWA, a number of Geo-101 events to Ranger Lynn's many awesome JFF and Suds events! We held our last 2014 event at the National Historic Park site at Jockey Hollow's "Caching Through The Snow" CTTS 11, our traditional December's event. We also pulled off what many thought were impossible with the planning and producing the areas first Mega Event! The Metro Gathering Mega event and the Randolph township pre event were accomplished in 4 months! It took a team of dedicated volunteers to pull off including placing 50 new caches too. Yes, a lot of sleepless nights and stress, but we were rewarded with a beautiful day and wonderful successful mega event! We look forward to bringing you more great 2015 events, improved website, more benefits to the NNJC membership, and yes another Mega event scheduled already for September 12th, 2015, location and details will follow in January! TIME IS TICKING AWAY......EXISTING CACHES MUST BE PERMITTED AND IN POLICY COMPLIANCE IN ALL NEW JERSEY DIV PARKS & FORESTRY BY APRIL 10TH 2015. SEE LINK TO THE POLICY AND PERMIT HERE! LAKE COUNTY, Ohio — April 30, 2014 Authorities made an unexpected discovery Wednesday after a suspicious package forced the shutdown of a local rest area. According to police, a truck driver saw someone throw a package behind a tree at a rest stop on Interstate 90 near state Route 44 in Lake County. The rest stop was shut down while several law enforcement agencies investigated. The Lake County Bomb Squad was also called in. Investigators eventually determined the package wasn’t a bomb; it was part of a game called geocaching. Geocaching is a treasure hunt of sorts in which players use GPS devices to track down the prize. No one was in danger at any time. Lake and Geauga sheriff’s deputies, Wickliffe police and the Lake County Bomb Disposal Unit all worked with the state patrol in the investigation. The Bureau of Land Management’s Prineville District Office last week announced it is working with geocachers to have geocaches removed from the Badlands, Spring Basin and Lower White River wilderness areas, as well as land on nearby Horse Ridge and other lands deemed environmentally sensitive. 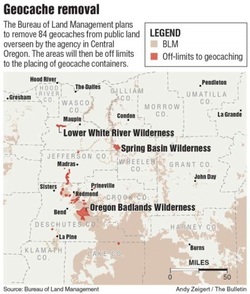 Along with wilderness areas the lands have titles like “research natural areas” and “areas of critical environmental concern.” The removal follows nationwide BLM policy, banning geocache containers from wilderness areas. Five months after the death of a Warren County woman, the state Department of Health has confirmed she died of a rare tick-borne disease never before seen in New Jersey. Her death in early May was caused by the Powassan virus, an illness so uncommon that just eight other cases have been diagnosed in the United States this year. The unnamed 51-year-old woman had developed symptoms that included fever, headache, a rash, and encephalitis, or inflammation of the brain. She was taken and treated at an unnamed hospital and died there, a health department spokesman said. The physician treating the woman notified the state on Nov. 11 that a tissue sample that had been sent to the Centers for Disease Control and Prevention had been confirmed for Powassan. The department declined to disclose the woman’s hometown, citing privacy concerns. The disease is spread by two kinds of ticks: the black-legged, or deer tick, which can also carry Lyme disease, and the woodchuck tick. While Lyme disease is rarely fatal, the Powassan virus is fatal in 10 percent of cases, said Tom Mather, director of University of Rhode Island’s Center for Vector-Borne Disease and its Tick Encounter Resource Center. Of the survivors, half will experience neurological complications, such as paralysis or cognitive problems. However, very few of the ticks New Jersey residents are likely to encounter are infected with the virus, he said. While more than half of adult-stage ticks are infected with Lyme, only an estimated 1 percent have the Powassan virus. "To put it in perspective, the tick infection rate with that virus is quite low," Mather said. It is not transmitted from person to person.The state decided against making any kind of announcement in mid-November about the confirmed case because tick season was over, according to spokesman Daniel Emmer. That’s an incorrect assumption, said Mather, a public health entomologist. "To say it’s no longer tick season, it’s just irresponsible," he said. "There’s hardly a month where you couldn’t encounter a tick." Ticks are not killed off by cold weather. They merely become so sluggish they no longer "quest," or search for food, Mather said. So-called tick season does flourish in the summer months, mostly because ticks are then in their smallest nymphal stage, so their presence goes unnoticed, he said. Tick activity slows once the temperature drops below 20 degrees, but will bounce back after just a few days of above-freezing weather. Nationally, about 50 cases of Powassan have been reported in the United States over the past decade. Most were in the northern woodlands of Minnesota, Wisconsin and New York. So far this year, the CDC has confirmed eight other cases: four in Wisconsin, three in New York and one in New Hampshire. One of the New York cases killed a teenager in Poughkeepsie, according to news reports. Symptoms may show up one week to one month after being bitten by an infected tick. While an infected tick has to stay attached to a person for at least 24 to 48 hours to transmit Lyme disease, that timetable is thought to be shorter for the Powassan, or POW virus. The CDC states there is no specific treatment for Powassan. Those with a severe case of the illness may need to receive respiratory support, intravenous fluids, or medications to reduce swelling in the brain. Pronounced "Po-WASS-in," it is named for the Ontario community where it was first discovered in 1958. Prevention advice is the same as that for avoiding Lyme disease: long-sleeved clothing and pants while walking in tall grass or woods, and insect repellent. Geocaching is a Great Way to Enjoy the Outdoors While Hunting for Treasure! Geocaching is the most common term used to identify the sport of caching, often described as a "game of high-tech hide and seek." A geocache (pronounced “geo-cash”) is a hidden treasure that one locates by using a GPS device. Geocaching is for adventure seekers of all ages around the world who want to get outside and enjoy the hunt. Geocaching shares many aspects with benchmarking, orienteering, letterboxing, and waymarking. All have a common theme of utilizing GPS technology to hide and seek caches or locate virtual locations in different forms. 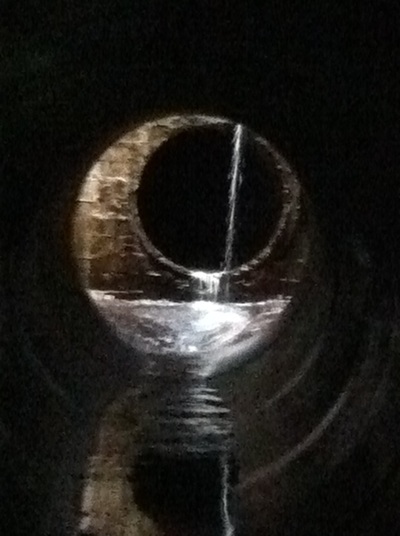 In your daily travels you probably pass by many of these treasures waiting to be discovered. They’re all around us: hidden in towns, main streets, shopping centers, street signs, and along scenic hiking trails throughout County, State and Local parks. Geocaches can be found in virtually every town and are placed at many important locations throughout the world. A "cache" comes in a variety of sizes, from an ammo can, or plastic water - tight container, which contain trade items and a logbook to sign in your name…to a very small container the size of your fingernail called a "nano" which simply holds a micro - log to sign. After you find a "cache" and complete your adventure, write about your experience and log in the caches on your geocaching profile. 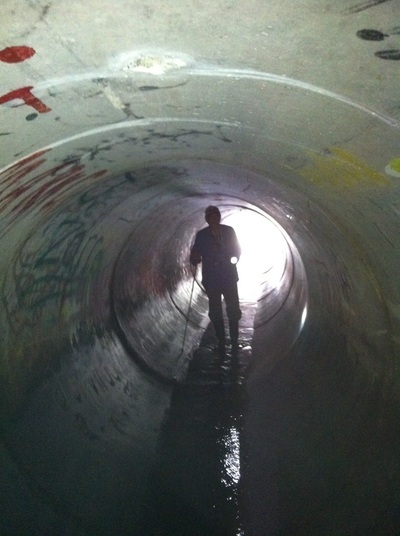 Searching for geocaches can be very exciting as they are often located in very interesting locations. This gets people exposed to new areas they never explored before, whether it is an urban setting where you learn something about the history of an area, a vista with a scenic overlook, a ruin of an 18th century homestead to explore, an old abandoned railroad tunnel, an historic Revolutionary battleground, NJ largest bat cave, or a nature center to learn about the environment and endangered species. Geocaching will take you to these interesting and historic locations that perhaps you never knew existed. Geocaching was born May 1, 2000 after the Clinton administration decided to stop scrambling the Global Positioning System (GPS) signal from a series of orbiting satellites which allowed people to pinpoint positions anywhere on earth. On May 3, 2000 the first Geocache was placed in Oregon and within days geocaches were placed around the country and as far away as Australia. Geocaching.com is the oldest and largest website which lists over 1.5 million caches in over 200 countries around the world, and 5 million registered geocachers. Currently New Jersey has over 10,000 geocaches. The new Opencaching.com, owned by Garmin Intl. and Terracaching.com are other websites which also offer geocaching listings. Geocaching serves a powerful information tool by spotlighting tourism, environmental and historic location throughout the world. Many geocaching organizations partner with the National Park Service, State, County, local, non -profit groups, Conservancy groups and other organizations to help promote and enhance a variety of programs. Geocaching can also be a great teaching tool, to promote and educate folks about the importance of an area where the caches are placed. An example is the geocaches at the GSWA CMA, as they represent environmental themes and give an explanation of the importants of this great area, such as the silver brook, vernal pond, cattail marsh, barred owl and endangered painted turtle. The Northern New Jersey Cachers (NNJC), a non-profit organization, is very active in New Jersey to offer support and partner with many organizations. NNJC designs and installs trail systems, promotes environmental issues, cleans up parks including the meadowlands marshlands, and teaches geocaching benefits to promote good land stewardship. NNJC has been partnering with The Great Swamp Watershed Association since 2010, when it helped build a elevated boardwalk across the marsh at the CMA. There are currently 7 geocaches throughout the CMA, all themed to promote the Watershed. NNJC will continue to promote the Watershed this year with the new trails and new theme caches in the expanded property. This spring NNJC will also join the GSWA to participate in the Great Swamp Watershed Scavenger hunt where folks will travel to different locations to gather clues to complete the challenge. Recently NNJC has also partnered with two organizations to promote environment theme caches. At the Morris County Outdoor Education Center in Chatham, caches educate about the Lenape life, pond life, endangered species and invasive plantings. At the Doris Duke Estate Foundation in Somerville the caches will include an historic and environmental themed geocaching challenge when this beautiful park opens to the public later this spring. Geocaching is a great family outing that takes you on an adventure to discover new places and learn about things you never thought you would learn about. It gives you a purpose to take a long drive to a destination you would not normally know about, and adds some excitement and adventure to your vacation as you learn and explore a previously unexplored area. It gives you a connection to the environment as you get back to nature, find those special places and create stories along the way. There is a geocache adventure out there for everyone, so grab your GPS and join the quest for adventure to discover our great outdoors again.